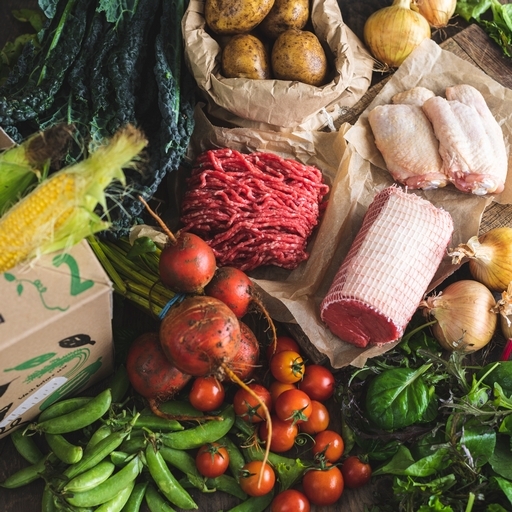 100% organic meat and veg delivered to your door. 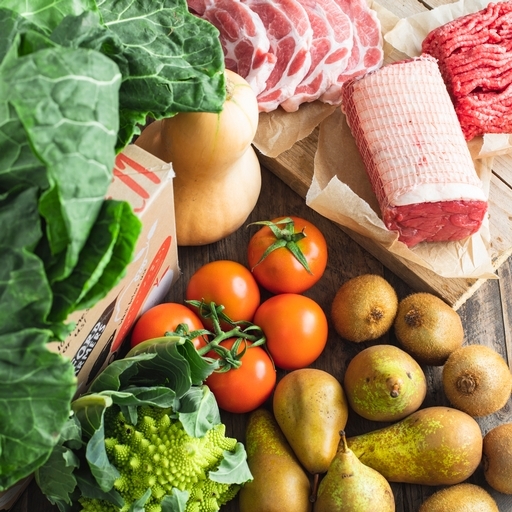 Sort the week’s meat and veg in one fell swoop. 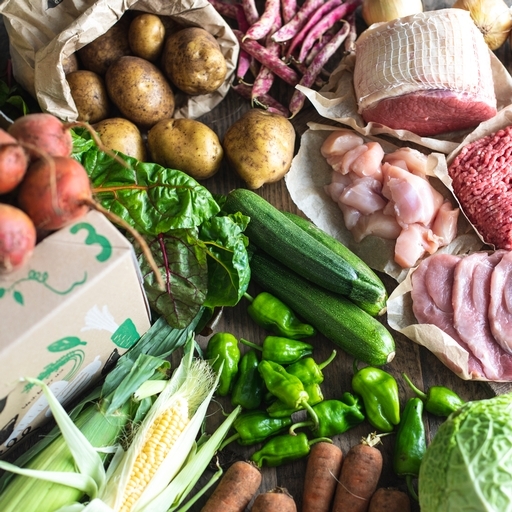 We’ll bring you the very best from our fields and from our farmers, so you’ll cook with a changing seasonal selection each week. Delivered free to your door. 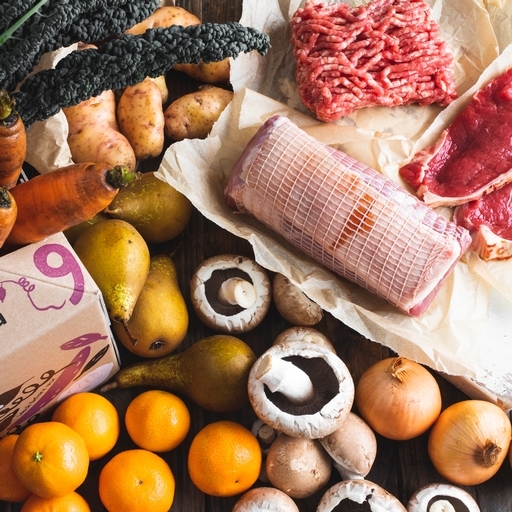 Our meat comes in insulated packaging to keep cool on your doorstep, so there’s no need to be in for delivery. 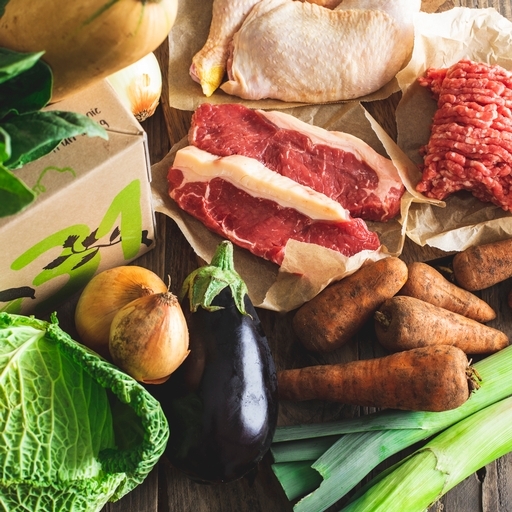 Our classic veg box: 7 varieties of seasonal organic veg, with potatoes and carrots or onions every week, plus 3 cuts of organic meat. 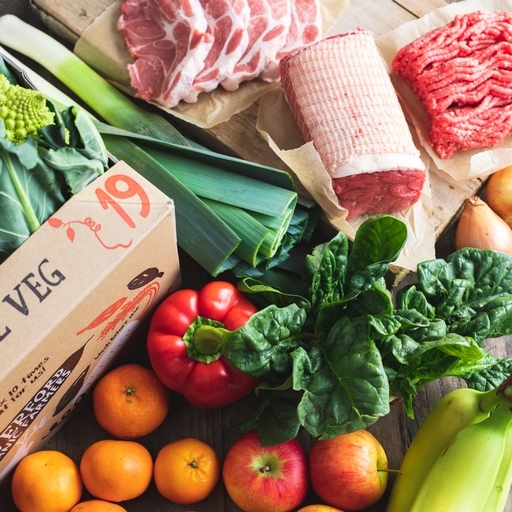 Our classic veg box: 8 varieties of seasonal organic veg, with potatoes and carrots or onions every week, plus 3 cuts of organic meat. 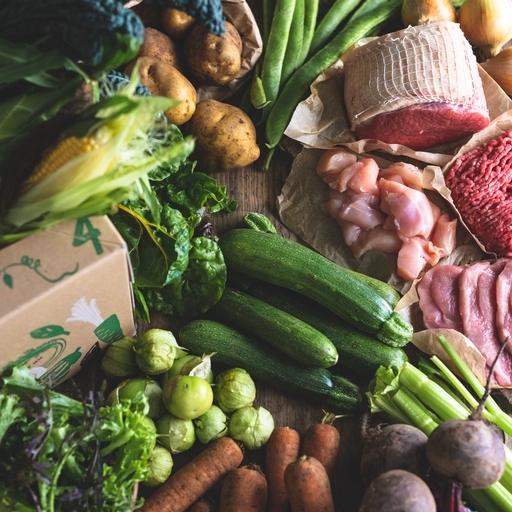 Our classic veg box: 10 varieties of seasonal organic veg, with potatoes and carrots or onions every week, alongside 4 cuts of organic meat. 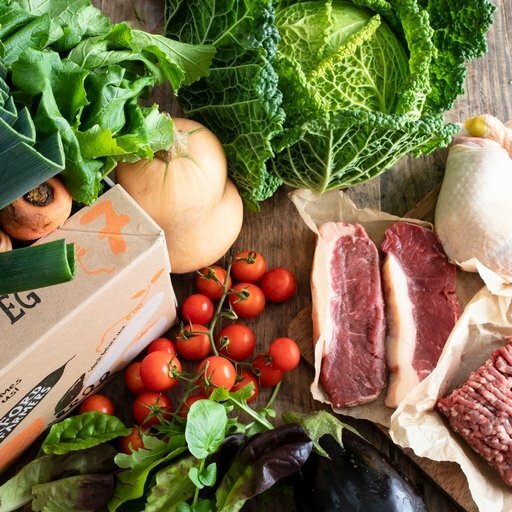 Our classic veg box: 12 varieties of seasonal organic veg, with potatoes and carrots or onions every week, alongside 4 cuts of organic meat. 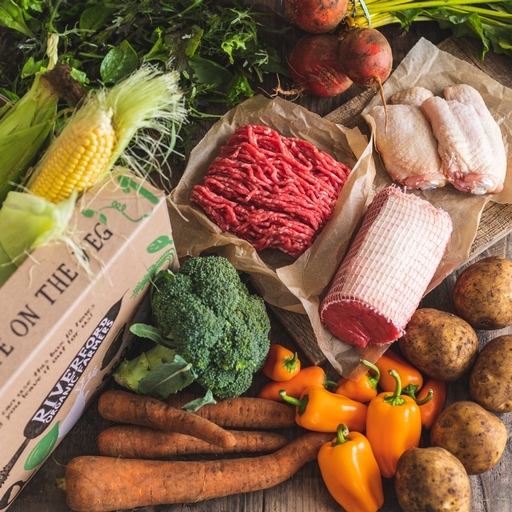 This veg box offers 7 varieties of organic veg that can be prepped and cooked in under 30 mins, plus 3 cuts of meat. 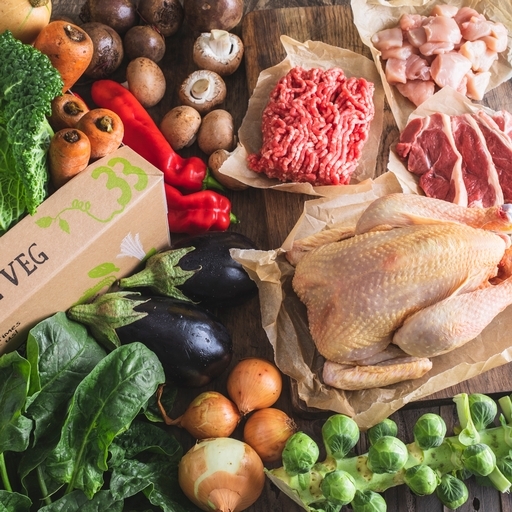 This veg box offers 8 varieties of organic veg that can be prepped and cooked in under 30 mins, plus 3 cuts of meat. 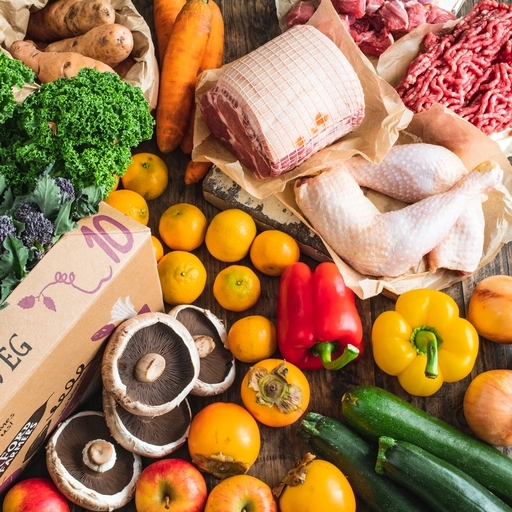 This veg box offers 10 varieties of organic veg that can be prepped and cooked in under 30 mins, plus 4 cuts of meat. 7 seasonal organic veg varieties, with carrots or onions every week, but no potatoes. Plus 3 cuts of organic meat. 8 seasonal organic veg varieties, with carrots or onions every week, but no potatoes. Plus 3 cuts of organic meat. 10 seasonal organic veg varieties, with carrots or onions every week, but no potatoes. Plus 4 cuts of organic meat. 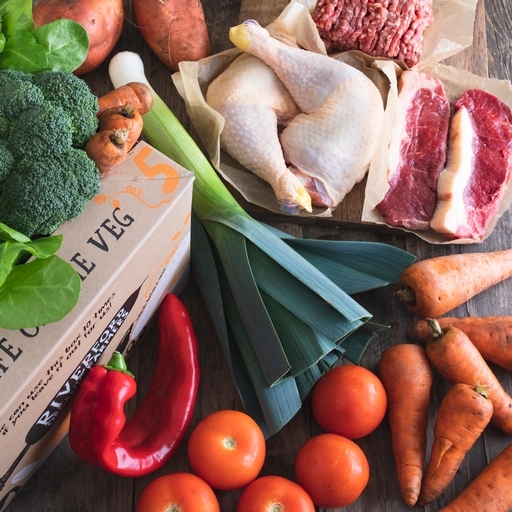 Our classic veg box with 5 varieties of seasonal organic veg, plus 2 fruit varieties and 3 cuts of organic meat. 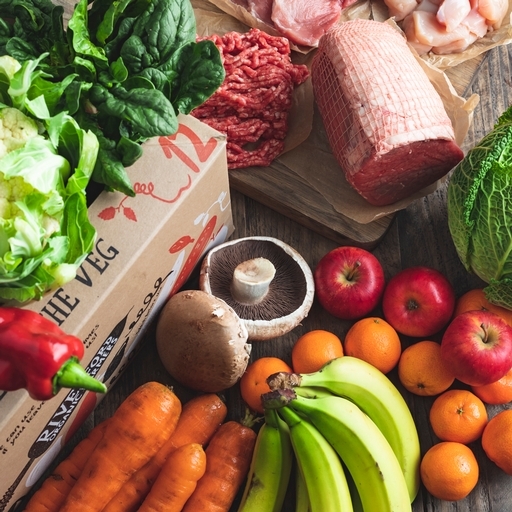 Our classic veg box with 6 varieties of seasonal organic veg, plus 3 fruit varieties and 3 cuts of organic meat. 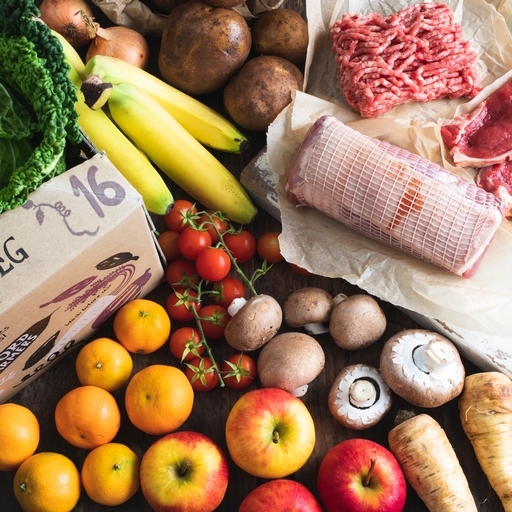 Our classic veg box with 8 varieties of seasonal organic veg, plus 3 fruit varieties and 4 cuts of organic meat. 5 organic veg varieties, 2 types of fruit, and 3 cuts of meat. 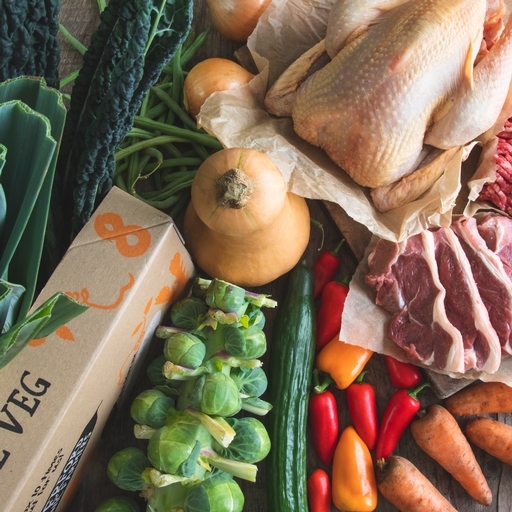 The veg in this box can all be prepped and cooked in 30 mins. 6 organic veg varieties, 3 types of fruit, and 3 cuts of meat. 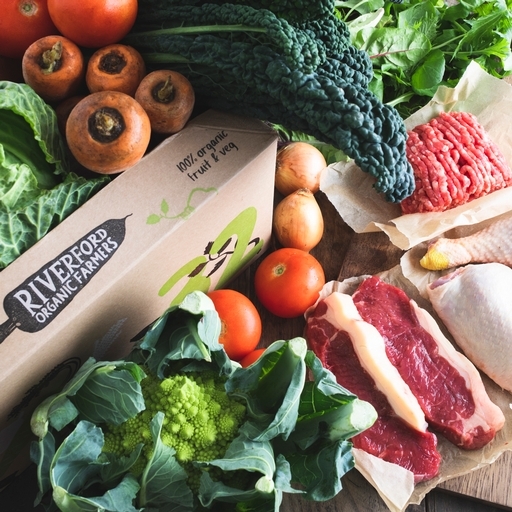 The veg in this box can all be prepped and cooked in 30 mins. 8 organic veg varieties that can be prepped and cooked in 30 mins, 3 types of fruit, and 4 cuts of organic meat. Rich, juicy birds, previously frozen. Plump, sweet and full of juice.